Originally published 7/10/17. Updated 2/5/19. Long before you or I traveled the rolling hills and flat plains of Ohio, expansive ancient cultures dominated the Ohio River Valley. When people think about the history of the United States as a focus for their travels, they typically choose places like Boston, Philadelphia, and New York. In Ohio, our landmarks are much older, dating back thousands of years before the USA was even an idea. Dotted throughout Ohio are remnants of three different ancient cultures. The oldest in the area is the Adena Culture. 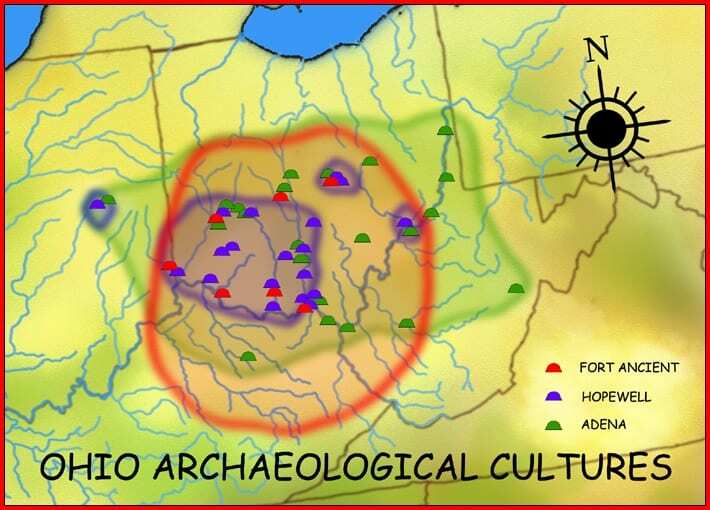 A Pre-Columbian Native American Culture, the Adena were prevalent in the Ohio River Valley from 1000 B.C.E. * to 200 B.C.E. They were made up of several different Native American tribes that all practiced similar burial techniques. The Adena culture heavily influenced the Hopewell Tradition, a culture that spanned several states and expanded upon the burial mounds of the Adena. The Hopewell Culture dominated the area from 200 B.C.E. to 500 C.E. * Building upon those traditions, the Fort Ancient Culture came to the forefront around 1,000 C.E. The unique burial mounds that these civilizations built range in size and complexity, but they’re all special in their own way. 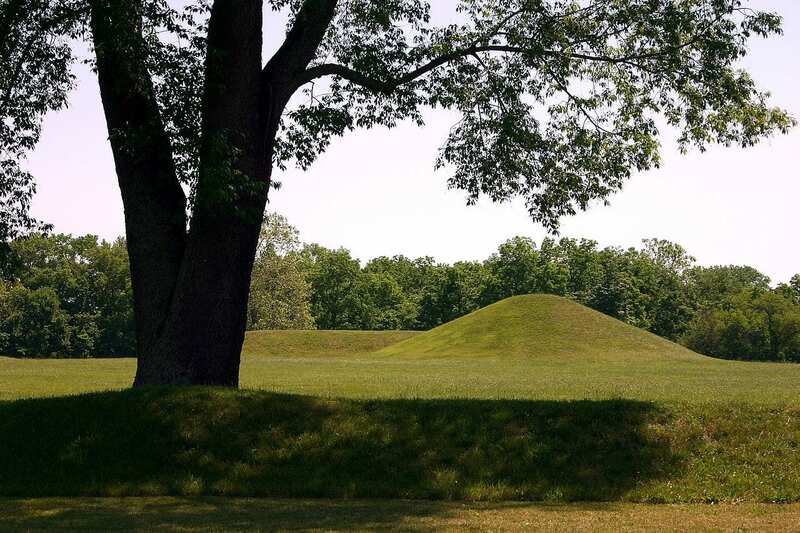 Here are 12 Ohio Ancient Earthworks that are totally worth checking out. An aerial shot of Shrum Mound, Kevin Payravi via Wikimedia Commons. 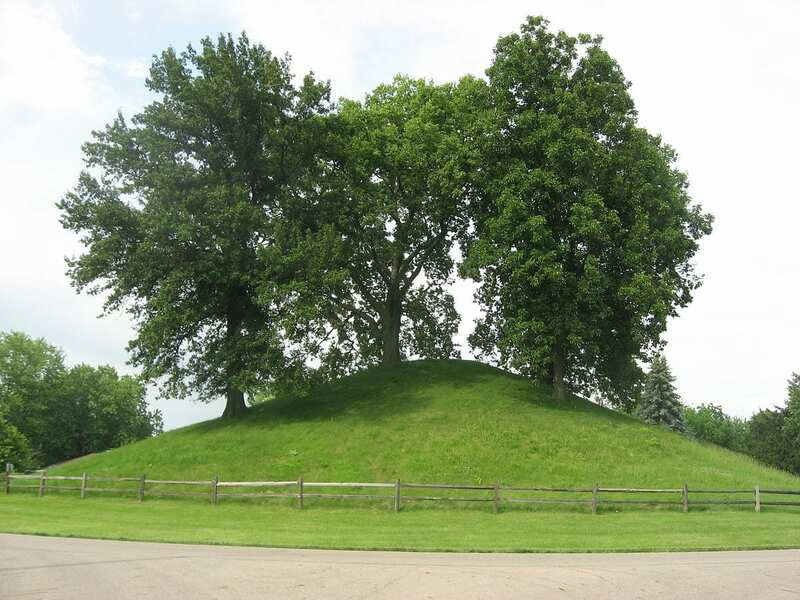 Visitor Information: Located in Campbell Park, Shrum Mound is a 20-foot-high and 100-foot-diameter mound. The Mound is open from sunrise to sunset and entry is free. Dates Constructed built between 100 B.C.E. and 400 C.E. 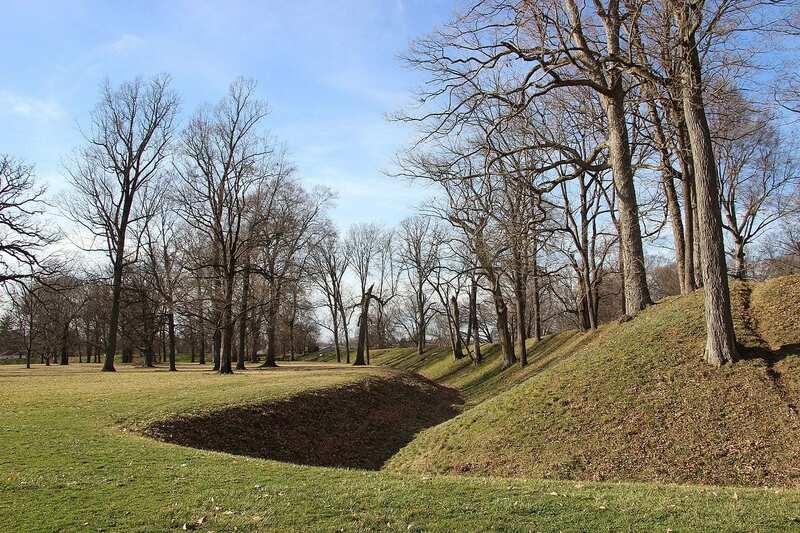 Visitor Information: Jeffers Mound is subject to erosion, so visitors are asked to refrain from walking on the mound itself, and encouraged to treat the surrounding area respectfully. There are no hours of operation listed. Dates Constructed built between 200 B.C.E. and 500 C.E. Visitor Information: The Hopewell Culture National Historical Park is open every day of the year, from sunrise to sunset. The park is free. Visitor Information: The Indian Mound Reserve consists of two separate historical sites, Williamson Mound and Pollock Works. 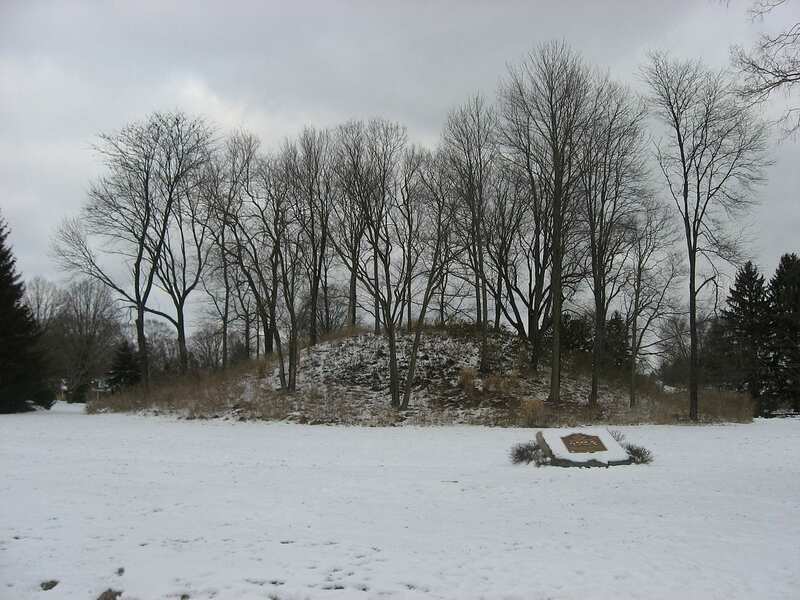 Visitor Information: The Fort Hill State Memorial is one of the largest mounds. It is over 1½ miles in circumference, enclosing 35.3 acres. Dates Constructed built between 100 C.E. and 500 C.E. Visitor Information: The Newark Earthworks consists of 3 ancient sites. The Great Circle Earthworks, the Octagon Earthworks, and the Wright Earthworks. The complex contains the largest earthen enclosures in the world, being about 3,000 acres in extent. The preserved site, which covers just 200 acres, is the official prehistoric monument of the State of Ohio. 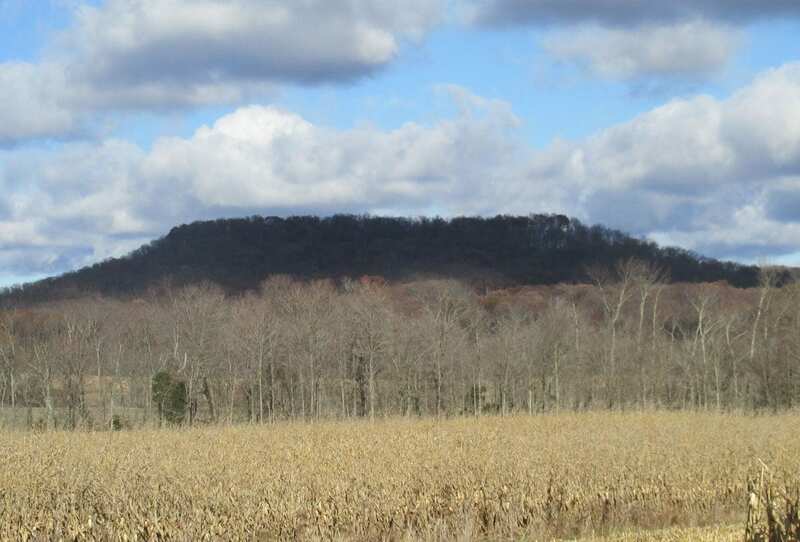 Unlike other ancient earthworks in Ohio, this site was primarily used as a lunar observatory. The earthworks are open year round, from sunrise to sunset. Dates Constructed built between 800 B.C.E. and 100 C.E. 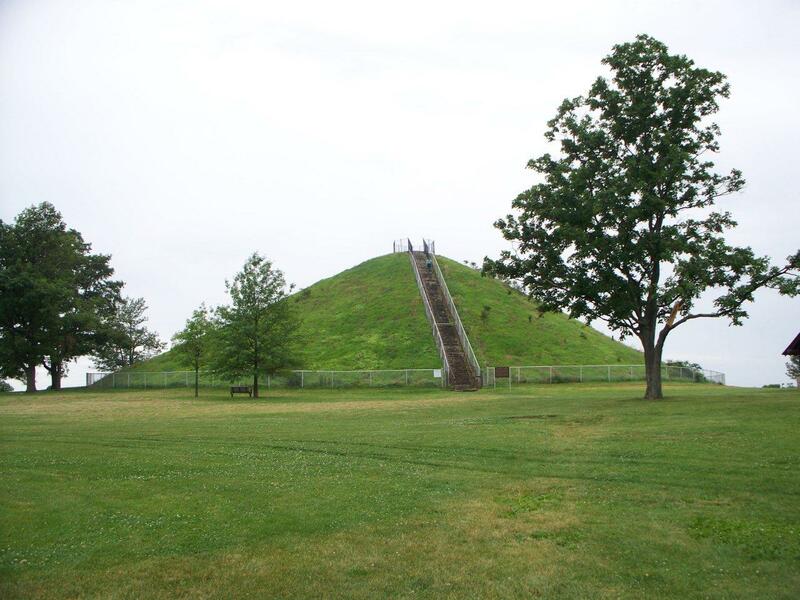 Visitor Information: The Miamisburg Mound is one of the largest conical mounds in North America. At 65 feet tall, it sits upon a 100-foot ridge, providing extensive views of the surrounding area. The mound is open daily to the public, free of charge, from sunrise to sunset. Dates Constructed built between 800 B.C.E and 1 C.E. 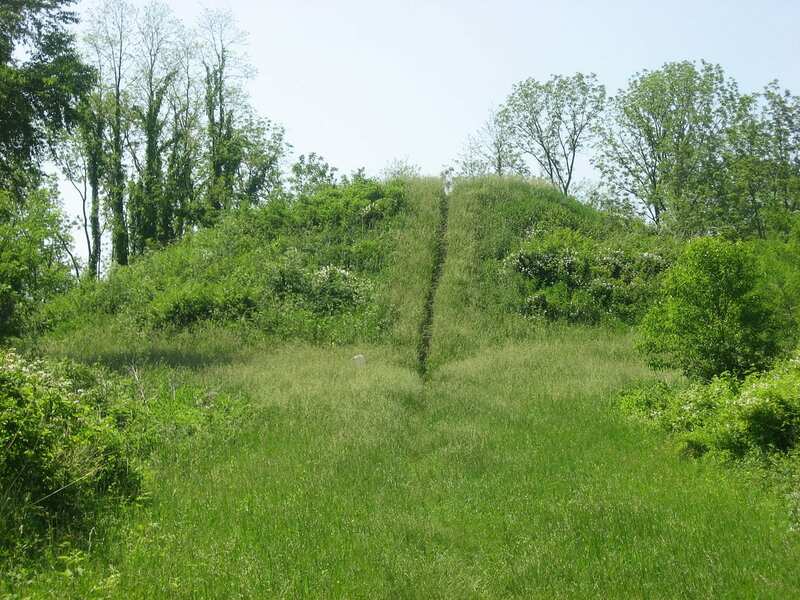 Visitor Information: The Enon Adena Indian Mound is open daily and free to the public. Dates Constructed built between 100 B.C.E and 500 C.E. Visitor Information: Most of the earthworks have been encompassed by the city of Portsmouth. The only part that is open to the public is Mound Park. Dates Constructed built between 1,000 B.C.E. and 200 B.C.E. 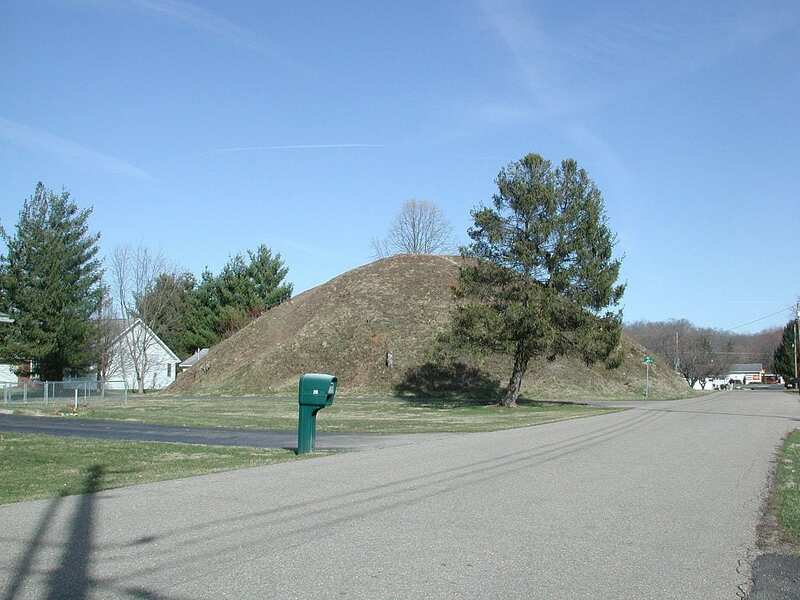 Visitor Information: More than 20 conical mounds are dotted throughout The Plains, OH. They were built by the Adena people, and are currently being purchased by The Archaeological Conservancy in an effort to preserve them. Dates Constructed built around 320 B.C.E. Visitor Information: Serpent Mound is an internationally recognized site. 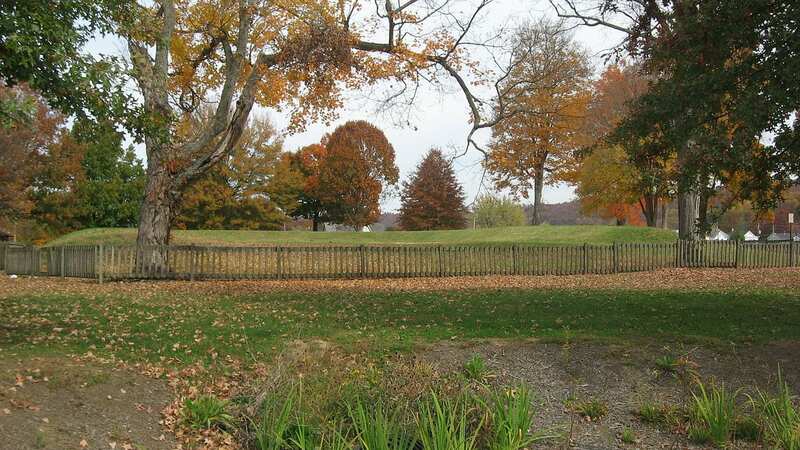 Although the serpent mound itself was not used for burials, it was used as a ceremonial site. It is an effigy mound representing a snake with a curled tail. The park is open daily, year round, from 9:00 am – dusk. Admission is $8 per vehicle. 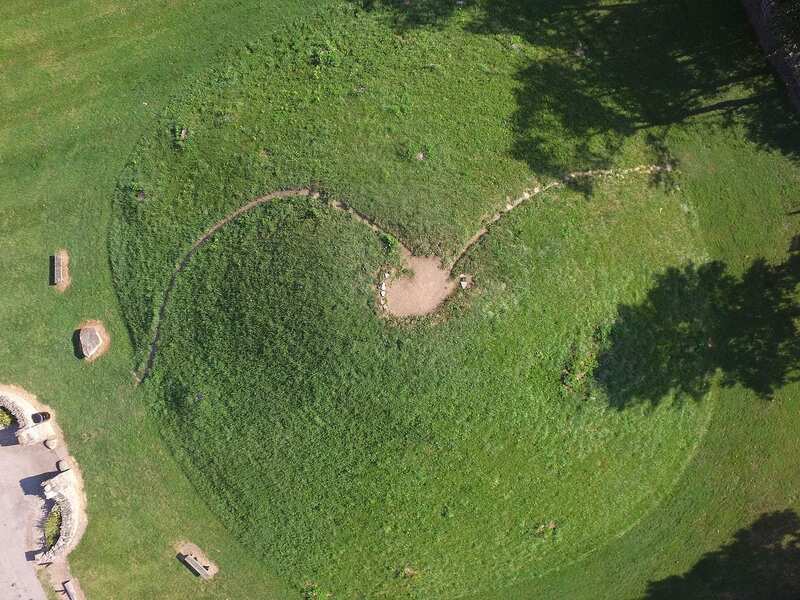 For more information about Ohio’s ancient earthworks, visit the Ohio History Connection website.